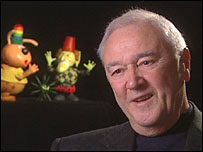 Mark Hall, one half of animation legends Cosgrove Hall, has died of cancer at the age of 74. If you do not immediately recognise his name, I have no doubt that you will have heard and have fond memories of one of the many animated characters he help developed. If you ever enjoyed watching Chorlton and the Wheelies, Jamie and the Magic Torch, Count Duckula, Alias the Jester, Cockleshell Bay and of course, DangerMouse, then you have seen some of the output from Cosgrove Hall, the company formed by Mark Hall and Brian Cosgrove. Mark Hall and Brian Cosgrove first joined forces in 1969 to create the company Stop Frame Productions, but when this company failed Cosgrove Hall was born from its ashes, with their first big hit programme being Chorlton and the Wheelies, one of my personal all time favourite shows from when I was very little. Whilst they certainly enjoyed success with many of their early kids shows, arguably the most popular character they created was DangerMouse. The “greatest secret agent in the world” was an instant hint with kids and adults alike, and the cartoon has now been shown in more than 80 different countries, which must give a certain other famous cartoon mouse a good run for his money. Sadly Cosgrove Hall went into liquidation in 2009, after the company had ended up becoming a part of ITV, who basically had very little interest in keeping the company alive it would seem. However, the company name doesn’t quite end there, as Mark and Brian recently joined forces with Francis Fitzpatrick, the creator of a more recent childrens TV hit called Jakers, to form Cosgrove Hall Fitzpatrick, who are in the process of creating new kids TV shows called Pip! and The Herogliffix. Both Mark Hall and Brian Cosgrove have more than made their mark in the world of animation, and their names more than deserve to be up there with the likes of Walt Disney, William Hanna and Joseph Barbera. 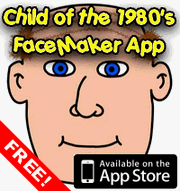 This entry is filed under Famous Faces	and was posted on November 21st, 2011. You can follow any responses to this entry through the RSS 2.0 feed. You can leave a response, or trackback from your own site. Sad news…I’m sure Bernard Sumner, whose musical work I enjoy, would feel similarly.